Choose the Quantity based / BOGO deals method. I have chosen to apply for All Products in the store. You can also choose it to apply only when products from Specific categories are bought. See the FAQ for a few variations in the discount scenario. NOTE: Make sure you check the box to count the quantities cumulatively. 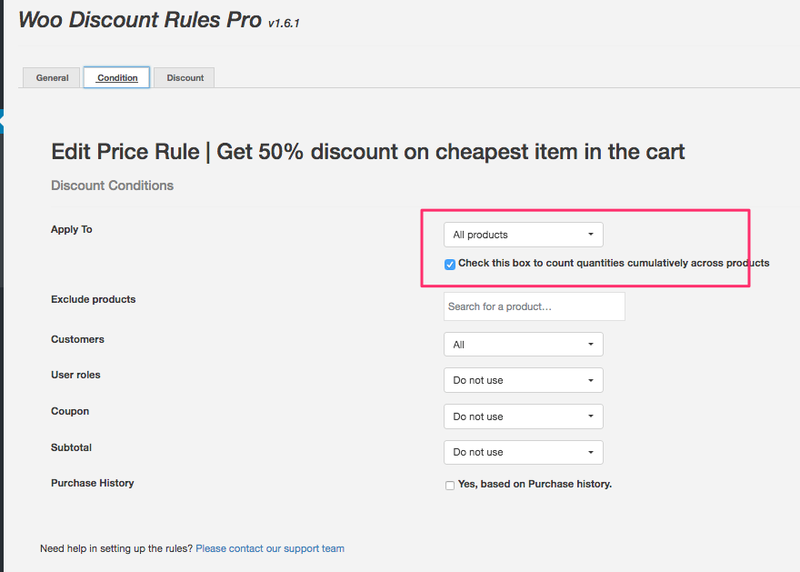 Choose the adjustment type as "Product Discount" and apply it for "Any one cheapest item from All"
Heads up! Notice that i have set the minimum quantity as 2. That is important as you want the discount on the cheapest item in the cart. That means there should be at least 2 products in the cart or at least 2 quantities on the same item. Also notice that i chose to use Limited percent and set it to 50%. You can even even set to to 100% to give the cheapest item free. 1. 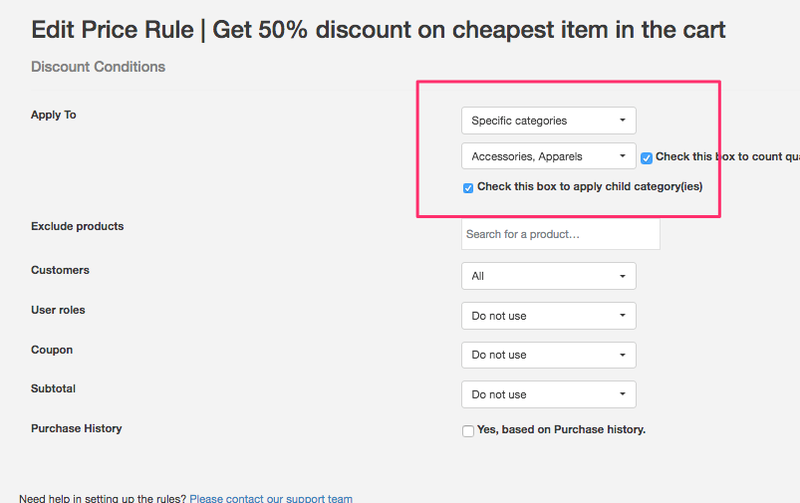 How to set up "Buy any product from selected categories and get 50% off on the cheapest item from those categories"
Simple. In the conditions tab, choose to apply the rule for Specific Categories.